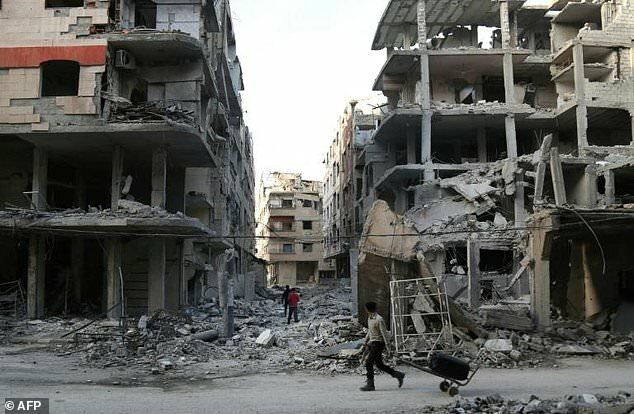 Turkey Directly Bombs Syrian Army Troops Dozens Killed – Coercion Code – "Dark Times are upon us"
I posted an article yesterday regarding the war that is brewing in the Middle East which outlined all the countries that are inter-related in the coming Global war. One country mentioned in the mix was Turkey. Once Turkey engages Iran over the Shi’ite-controlled caliphate, Iran will see the need to go on the offensive globally so that the Americans and their allies cannot reverse Iran’s success. Do you understand? This is the reason this Middle East conflict will go global. 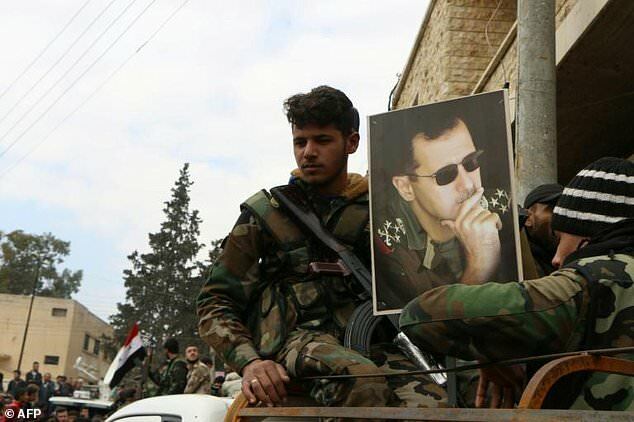 The forces loyal to President President Bashar al-Assad of Syria entered Afrin last week to support the People’s Protection Units, the Kurdish militia known as Y.P.G. 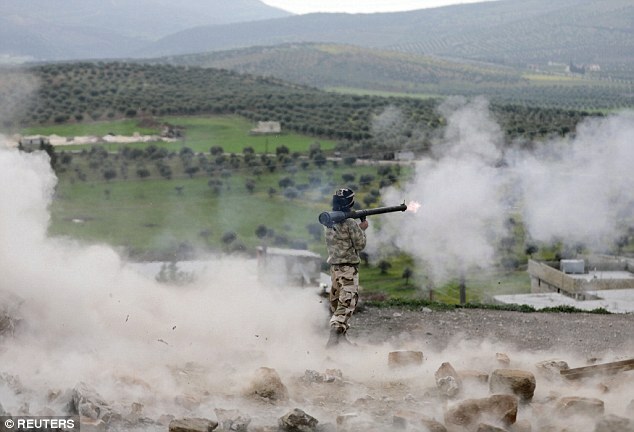 that is the stated target of the operation Turkey and allied Syrian rebel fighters began in January. 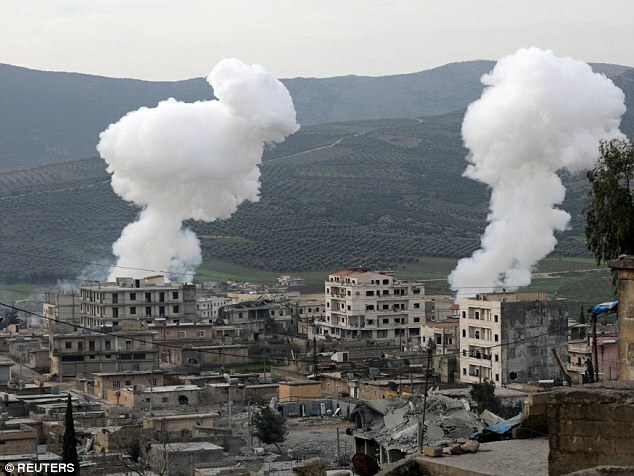 The Syrian Observatory for Human Rights, a monitoring group based in Britain, said the airstrike, which hit a camp in Kafr Jina, was the third time in 48 hours that Turkish warplanes had struck pro-government forces in Afrin. The Syrian Democratic Forces, a Kurdish-led, United States-backed alliance, said in a statement that Turkish airstrikes had targeted positions held by the Syrian Army’s “popular forces” from 5 a.m. to 10 a.m.
Ankara has also warned Damascus not to send fighters to the area, saying it would target them. Turkey considers Syrian Kurdish fighters to be ‘terrorists’ linked to a Kurdish insurgency inside its own borders. The airstrikes mark a major escalation between Turkey, the main backer of Syria’s opposition fighters trying to remove President Bashar Assad from power, and Syrian pro-government forces, backed by Iran. Airstrikes on Thursday in the village of Jamaa and killed 17 fighters of the force known as the Popular Forces. 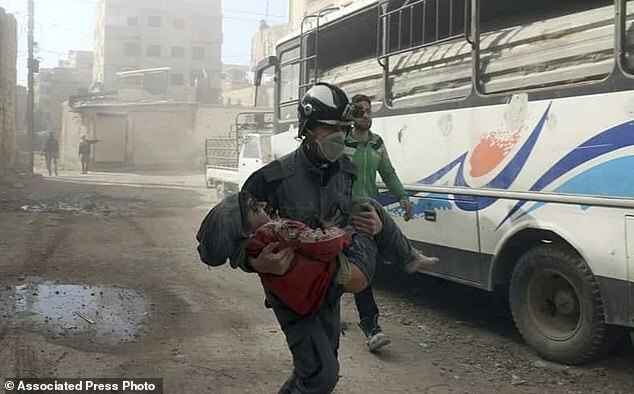 Meanwhile Syrian activists and rescuers said at least six civilians were killed in the ongoing bombing near Damascus on Wednesday. 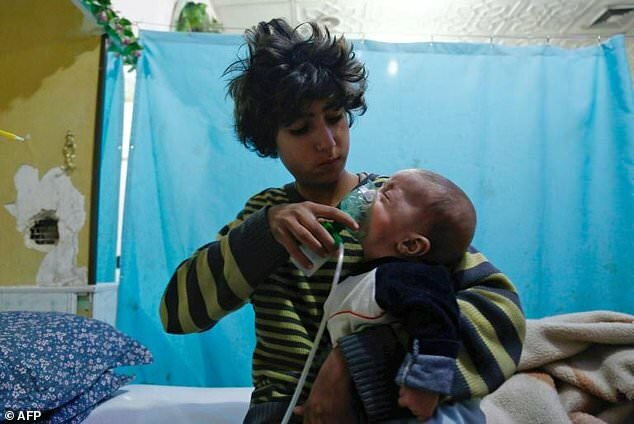 Syrian State TV said on Saturday that two children managed to escape from the region under gunfire from the rebels, who control eastern Ghouta. Turkish-led Syrian opposition fighters have advanced steadily since January 20 when they launched an assault on Afrin, controlled by the Kurdish People’s Protection Units (YPG). The Syrian government deployed fighters to the enclave a month later after the Kurds appealed for help. Ankara says the YPG is a ‘terrorist’ extension of the Kurdistan Workers’ Party (PKK), which has waged a three-decade insurgency against the Turkish state. On Saturday Turkish Prime Minister Binali Yildirim announced that the country’s south-eastern border areas, including the town of Rajo in Afrin, had been cleared of “terrorists” – a reference to Kurdish separatists. The YPG has been a key component of a United States-backed Kurdish-Arab alliance that has been fighting the Islamic State jihadist group in Syria. 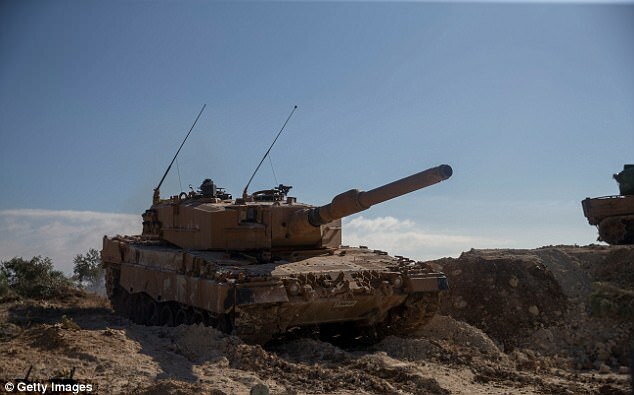 The Observatory says more than 140 civilians have been killed in Turkish bombardment since the start of the assault, but Turkey denies the claim and says it takes the ‘utmost care’ to avoid civilian casualties. Meanwhile, near the capital, Damascus, a five-hour truce went into effect on Friday, the fourth this week, with no civilians leaving the city’s rebel-held suburbs known as eastern Ghouta. Prime Minister Binali Yildirim of Turkey said his country’s forces had captured the town of Rajo from militants. 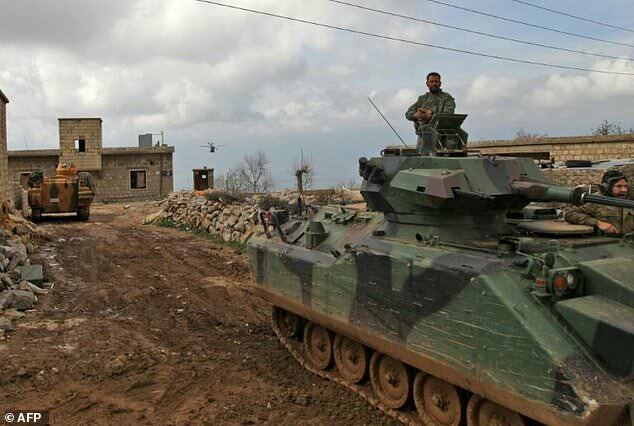 The monitoring group said the Turkish Army was in control of about 70 percent of the town, 16 miles northwest of the city of Afrin. 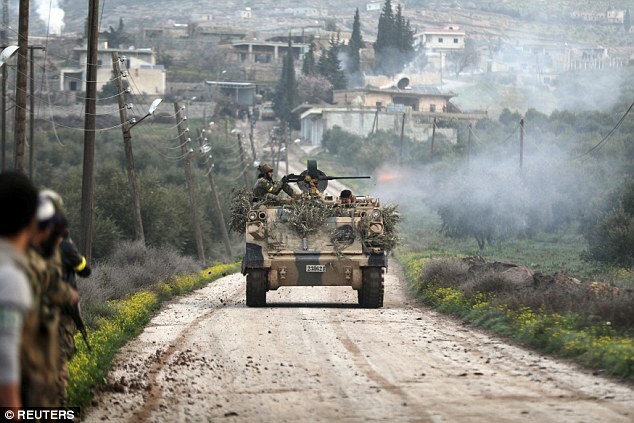 The Syrian Democratic Forces statement said that a group of Turkish forces and allied Syrian factions had infiltrated Rajo, and that clashes were continuing there. Syria is now considering shooting down Turk war planes over its territorial air space. Russia is in consultation with the Syrian government as to the full-scale-war implications of taking such action, but the Syria government is insisting this is needed. US efforts to stop the Turkish attacks are completely unsuccessful. The Turkish bombings of Syrian forces is continuing at this hour. Previous Previous post: Iran, Russia’s End Game: Is It Being Played Right Now?